When you purchase a DSLR camera it either comes with a cropped sensor or full frame sensor. Cropped sensors are cheaper to produce so they come on lower end DSLR cameras while a full frame sensor is just the opposite of that, more expensive and on higher end DSLR cameras. What exactly does this mean? It means that when you own a full frame camera it uses the entire sensor which gives you a sharper image. With a cropped sensor it takes the picture with the full sensor but then crops it 40% reducing the quality of your image. When you are looking at your lens for a cropped sensor DSLR you have to keep this in mind. A 30mm lens will be cropped to give you the frame of a 50mm lens but that is not the only thing to think about if you are a cropped sensor owner. The way lenses work is that the wider your lens the more your lens will creat the appearance of your objects looking further apart. 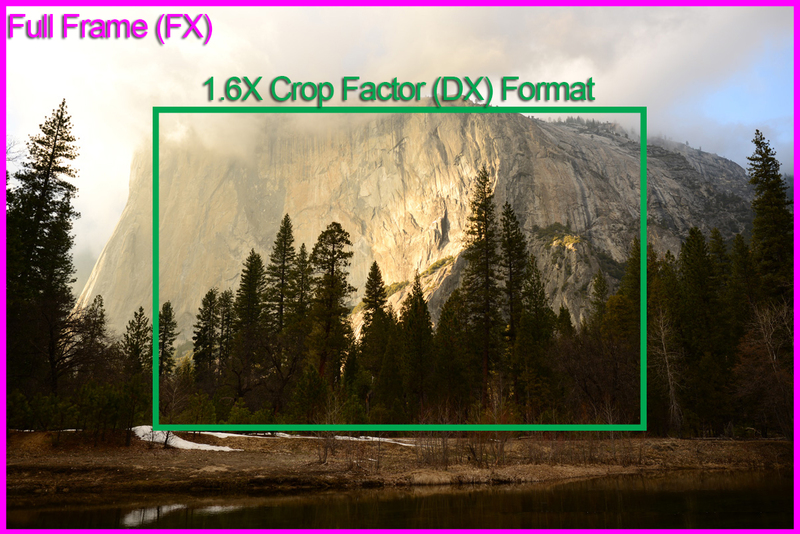 So a 30mm compared to a 50mm will have a 20mm difference on perspective no matter your crop factor.Let’s delve into this a little further so there is no confusion. When using my 300mm lens my foreground and background images appear to be closer together. When using my 28mm they appear to be further apart. Both of those effects will not change on a dropped or full frame sensor. You have to decide how much depth or lack of depth you want on your image when you purchase a lens. Don’t worry about the crop of your photo, when you buy your lens think about the effect you want. That’s my advice to you.